This new wall mounted model is not only sleek and sophisticated, but saves you on floor space too. With glass panels on both sides as well as in the front, when this model is in use the enchanting colours and crackling of the fire adds true beauty and a welcoming ambience to the space. 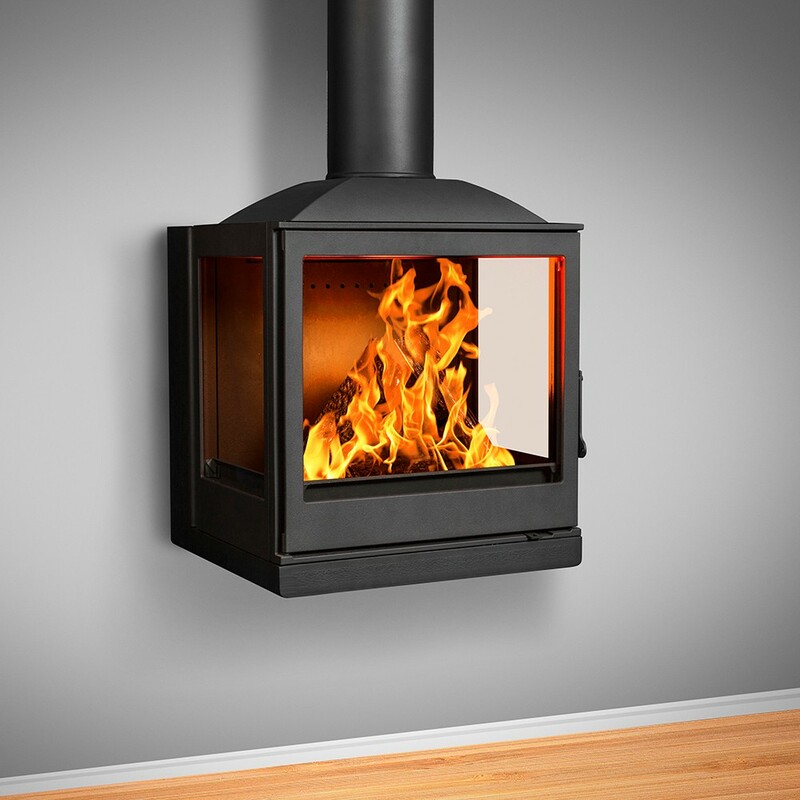 Made from cast iron, this captivating premium fireplace is ideally suited for small to medium areas.This fireplace also has the option of connecting to external air and drawing air from outside instead from within the room. This means that the burning wood doesn’t deplete the oxygen in the room and require a window to be kept open in order to keep the space sufficiently oxygenated. All our fireplaces are imported from Europe and boast a strict CE certification, so you know you can rely on the quality of any unit you purchase from Hydrofire. Just to ensure you sleep well at night, they come with a 5 year warranty too.